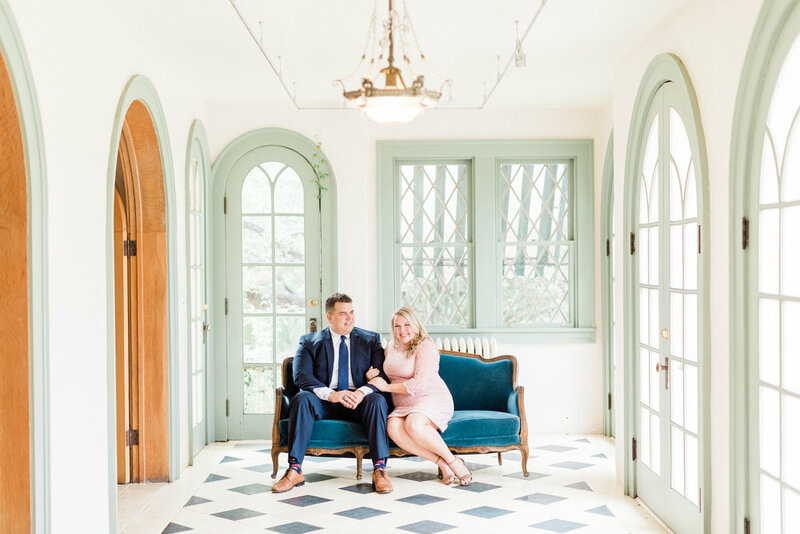 Miranda and Chris met me in Austin, Texas on a rainy morning at the lovely Laguna Gloria in Austin, Texas. When they showed up, we were a tad worried about the weather but no rain for us, and lets be real, Miranda’s smile could clear the skies! Miranda looked gorgeous in her pastels and Chris looked so dignified in blue-I want to use their photos and outfits for my next outfit guide! They looked amazing! When I talked with Miranda on the phone prior to our shoot, I was happy to hear about their mutual love for Chick-Fil-A, Texas breweries, and the casual night in. We will get along just fine (more than fine) I thought! I can not wait for their spring Wedding day in May!